Sometimes randomness and serendipity get on the way while doing things, sometimes even, those two concepts take control in beautiful manners. Maybe this is the case, maybe not, but even though here we are sharing the work by Barcelona based artist Lali Barrière. We have been talking about the work of Lali for quite a few time, I was making very simple questions and Lali answering with many more questions, simple and complicated. At certain point I thought that maybe neither of us had a clue of what we were doing (she doing music, I pretending to be a “producer”). Not because of ignorance, but because in this sound world one can get lost looking for the horizon. Not in terms of loosing your way, just entering in the realm of the unknown, the new; just like if we were entering an off-road territory where anything can happen, even magic. A few months back in a rather weird encounter with Lali, she was about to begin her concert, preparing all the little objects, spoons, egg cutters, sticks, etc... A child in the audience asked his mother: Is she gonna do some magic? “Unknotted” is an album about instincts, about moments, about a fabrication of an environment or an event - Lali mentioned that making this album was like if she invented a concert at her studio, trying to get into the audience-musician dialogue -. 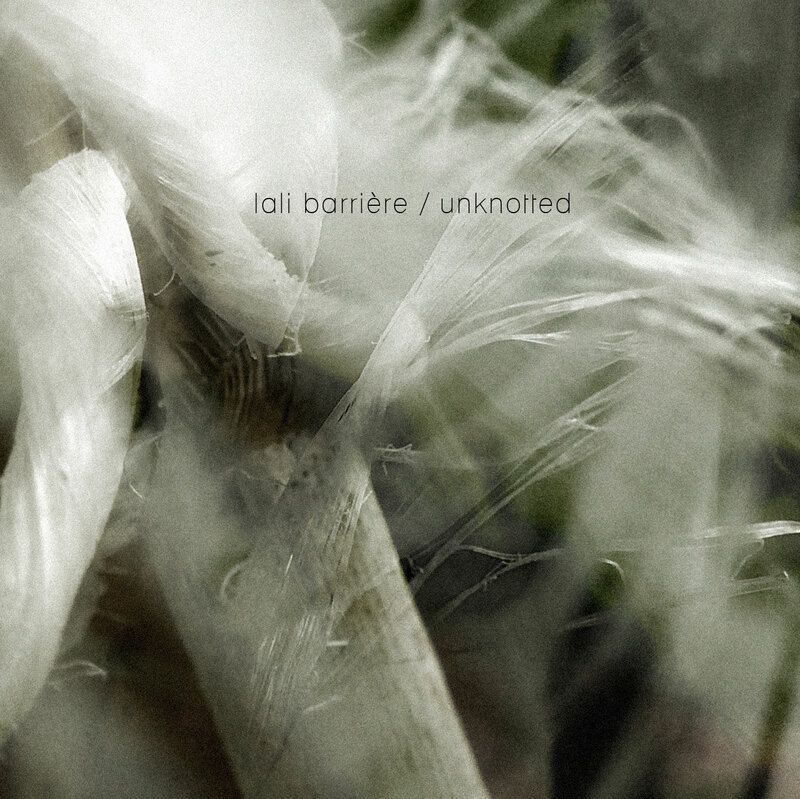 Unknotted is a canned extract of the work of Lali Barrière, maybe its pure perversion to ask her for this kind of “finished work”, maybe this doesn’t need to be canned, or maybe we can ask ourselves why not. Finally I think this album is about process, challenge and adaptation to a given situation or request, a triumph of details, a personal confrontation, and finally what we most like in Audiotalaia: to receive a gift like that, the result of a creative process that challenges us and the author herself. Live recording + talk (spanish) of Lali Barrière’s concert at La Envidia, Casa Taller the 16th of February 2013 in Valencia. Recordings mixed an mastered by Edu Comelles.